Please understand, I'm new to this whole “sharing my experiences thing” I never felt I needed to. And I'm not sure who else to contact about this. So if there's any direction you can point me to discussing this further with other people, please let me know. I'm a firm believer that there is more to the universe. That there is more to life than what is in front of us. I believe in the paranormal, whether its ghosts or aliens or (occasionally) some type of mythological creature. However, as much as they fascinate me, I don't spend every waking moment thinking on them. But I believed in them since I was a child. I've had many weird moments in my life that I sometimes wish I read into more. The only time I really get into the paranormal is maybe a week out of the year, I spend some time watching movies or reading articles. Other than that, I don't do much, maybe see one post here and there. But back to the subject. I have EXTREMELY vivid dreams. Sometimes I don't remember them, and sometimes I do and I want to apply them to something artistic. (I like to draw) But on a rare occasion, I have a moment where there something I just cant wrap my head around. I've had a dream that felt so much more real than reality itself. I've had people tell me there something about me that makes me stick out, I've had animals follow me, children stare at me, and I never thought anything of it. But for some reason, about a month and a half ago, something told me to do research. I had an crazy need to research nothing but aliens. How there's many types who are already out there, and how some of them communicate via mediation, and astral projection. How some people are hybrids. I just couldn't stop reading about it, it actually made me paranoid. I had panic attacks, id sometimes hear voices and humming, occasionally I felt as if I was being watched. Then I had one night where I woke up and all of the colors in my house were super bright and saturated, I felt as if I was drugged. I couldn't understand it, but I went back to sleep. After that, I stopped doing research, and continued on with my life. It was messing with me and I wanted it to stop. I had the occasional thought. But then I didn't even have it on the brain. I had actually completely forgot about it. But last night I had one of those super vivid dreams I couldn't understand. I should start by stating i'm pretty good at lucid dreaming. I have moments in some dreams where I “rewind” and “replay” a scene to get a different outcome. If I didn't like how something happened, ill redo the scene entirely. Its like I'm the director of my dreams, and they are just one big movie. But when I wake up, I only remember certain snippets. So it feels short and weird. I took a nap around 12 pm, and I remember in the dream, I was in a car with my father, my grandmother, and my best friend. It was sunny. We were on the way to and event. If I had to guess, my father was carpooling, since hes a driver. We were dressed very formally. I don't know what the event was. I remember a radio being on but I don't know what they were saying, but I do remember everyone panicking. I look out the window to see a missile hit a giant Ferris wheel that's in my city. There was a huge explosion and people started screaming and running, My dad tries to drive us in a different location. We reach a different part of the city where several other missiles hit other building near by. The word “terrorist attack” comes to mind. Which is weird, because I'm not to interested in this kind of thing. But I would assume out city is being attacked by terrorist missiles. We go near this road by the city lake and park far away from all the major skyscrapers. I remember trying to gather my thoughts, and I turn around to see a UFO appear, as if it was hidden. It had an interesting design that I took the time to draw. My first instinct was to grab my phone, but I froze, as I saw 5-6 more appear. Like they were cloaked into the air. They were about the size of a small baseball field. But still large. They didn't make any noise. The sun reflected off this color I couldn't understand. I tried to record it but my phone stopped working. The rest is rather hazy, but then I remember being inside the ship, surrounded by these blue aliens. They were a beautiful shade of blue, the room was much smaller than the rest of the ship. They showed a picture of earth on the screen along with some other things I cant remember. There were about 5 of them in this room. The sat down, but for some reason, I cant remember what the floor looks like. I felt like I was floating in liquid I could breath in. So maybe we weren't sitting? I remember they tried to make me feel comfortable. Only one talked to me, the other 4 sat to the side watching, observing even. I cant remember what the one I was talking to said most of the conversation, but I felt overwhelmed. She (I assume its a she, since it had a falsetto voice) told me that I was the leader. I didn't understand, I couldn't, I was scared. But I really wanted to understand. I asked, what they meant. The leader of a mission on earth. They sent me out of the ship, which is when I could faze through the floor. The room we were in was the room they they used to get me in the ship. I flew and then I woke up. I felt so lost and confused. I started laughing, like a crying laugh. I always talk about my dreams with my mom, but this time, something told me not to say anything. I just told her I had another crazy dream. I wish I could remember more, I'm certain it means something, I'm a little scared to sleep again. Typing this is making my heart go a million miles per minute. My family has joked a lot about how different I was. “Your an alien” “You aren't anything like the rest of us” “Sometimes I wonder how your my child” But lately, I've had this nagging thought that I'm not their child. I have had this want, this passion for outer space that I cant explain. I always look up to the sky. I have this nagging feeling that ive been there before, or that I'm supposed to be there. But I never looked at it other than wishful thinking and daydreaming. I just want answers, someone I can tell this too and not feel like a freak. I don't want to talk to all of those weird teens who want to feel different. I want to talk so someone who could possibly give me and explanation on why. Why did all of this happen so suddenly? What are my dreams trying to tell me? Why do all of these feelings surface out of the blue? Whats going to happen to me? Was this a prediction or a way of communication? In a way, i'm scared to know. It really bothers me. I eat, sleep and breath like most people. I pay my bills, and i have a dog. If this is them wanting to contact me, why someone as simple as me? I've had a friend of mine draw up a visual that's much better than mine. But if you want my original drawing i can share it. First of all Friend, try to calm down. It's okay! Welcome to the Alien Abduction Help Forum. Thanks for sharing your experience and also the artwork. I saved the picture so I could upload it here. I have also seen "aliens" that very much resembled dolphins and some others who looked different but had dolphin-like skin, kind of thick and rubbery. I have also seen blue aliens before. They are really multi-dimensional, maybe not "aliens" from other planets, but they are real for sure. It's great that you are so good at lucid dreaming. You have great control over rewinding and replaying your dreams, that's pretty amazing! Good job! Maybe this happened suddenly because it is the right time for it to happen. Maybe you just were not ready before. You are probably thinking, "Well, I'm not ready for it now either!" LOL. I totally understand that. I have been there myself, but that was 30 years ago for me. Don't worry, it will get easier to handle, just try and relax. There are many questions you want answered, but you need to have patience and take this one step at a time. You are not just a "simple" person, you already know that people have looked at you a little differently, your family has made a couple remarks, like you said.... You could very well be on a special mission here on Earth. In fact, many of us are on special missions. It is not that uncommon, especially among contactees/abductees. It is a pretty deep subject, so feel free to talk about it here and ask any questions you want. Of course, nobody can really answer all those personal questions besides yourself, but there are people like myself with experience who can help you out a bit. Probably the most important thing I can say right now is that you are not alone and it is going to be okay. You need to relax and take it easy on yourself. It really is okay. Please write more and share your original artwork if you like. Yeah...it was all very overwhelming. Its also strange since it felt like i could control my dream, but then the control was just taken from me. I'm wondering if people have any idea of what the mission is. I'm going to keep a dream journal, so far i've had only a few flashes of their face. Since then, my sleep hasn't been all that great. I kept waking up because of strange noises, and only got an hour of sleep here and there. My headaches have gotten shorter, but more painful. Ive heard humming, ringing, and beeping (or tweeting). I have also had visions of birds (owls and eagles) as well as creatures. I'm going to try and take some time off to draw them. Ill try to share more if anything comes up. Your post here is very interesting to me and I relate very much to what you are currently going through. Both of us are having a difficult time coming to terms with what we have experienced, which is very understandable. These things are so hard to overcome, if it's even possible. I would very much like talking over email sometime, as I see some odd details in your post here that intrigue me. There are things that I simply just cannot cover in a single impersonal forum post. I think maybe we could help each other in this situation by talking -- I can tell you are very distressed and could benefit from some gentle discussion. Maybe you agree. If you want to message me, my email is on my profile. I'd love to hear from you and talk to you more about what has happened. Welcome to the forum, Piff. Sounds like you are very sensitive to the environment around you. You'll find the spirit world 'very' busy. When things go wrong, it can freak you out at first. You learn to deal with it. A word of advice, keep your compass heading. Always say to yourself, it will be ok. It will be ok. Its just a storm, I will get through this. I will be ok.
A lot of us here have seen 'visitors'. I think if they had bad intentions, we would 'disappear' the first time. And there are bad types out there. But I think in your case, you are being 'watched'. I think when humans become good at dreaming, they become 'specials' and perhaps they start to catch the attention of others in the spirit world. The 'visitors' visit people often in the spirit world. Your body is 'flesh, spirit, and soul', linking you to 3 dimensions. The spirit is a big one. Now and then, a visitor will show up here in my home, will stand behind me in the corner, and watch me for a while. My dog will growl sometimes when it happens. I look in the area and shift my vision and I'll see eyes, then an outline. I have tried to talk with the quiet ones, short, big eyes. The do not talk much. They can talk, but perhaps arent allowed. I dont know. I also get visited by bad spirits. Witches, druids, demons. For some reason they attack me much and it has really disturbed my life, but I keep going. I am not going to let it stop me. So..... Relax. Its a storm in life, something new you havent seen before. Do your best to smile and keep yourself together. Be intelligent in your actions. Dont freakout. Do not be afraid. All will be well, you will be ok. You will get through this storm. Thank you all for the warm welcomes. Im trying to stay level headed and calm on the whole thing. I'm feeling ok, but still very nervous at the same time. But i've been writing everything down, and wanted to share it with you all if your interested. The first day after the blue aliens dream- I saw their face for a moment. I then had a dream i was with and old friend and they were selling candy. Pretty average, and it made me feel calm. But my mom woke me up and i went back to sleep. I had a weird dream out some weird colorful objects in what seem to be a sandy cave. They looked like tools. Very colorful and shiny. And something about a sheep like creature getting their hair cut off. The next night i tried sleep 4 times, but was constantly woken up by short dreams and images. There was images of a woman (who i don't recognize) she made me feel safe. She said the word owl. I should mention, i love owls. They are my favorite animal. I then wake up hearing a scream that was certainly in my head. I kept getting headaches and hearing small humming. I had a hard time telling what was real and what wasn't for about 20 minutes. The next night, i slept a little longer, but i cant remember too much. I should mention i see the numbers 111 and 1111 a lot. I didn't think to much of it, however. Then rainbow lights and i saw their face again. I go to bed again. Red smoke, something about foxes, more rainbow lights. Very bright white flashes. I woke up, and went back to sleep. I finally had a normal dream. Just me and my friend playing a really silly video game involving candy. The blue aliens face only appeared for half a second when i woke up. heres another drawing. They seem to come in different shades of blue. That was the last dream i had. I'm sure they are benevolent. They don't seem like they want to harm me. I cant shake the feeling that they are trying to help me cope with it all. I only get a somewhat good nights sleep when i see their face. I feel like they try to clear my mind by letting me have my silly lucid dreams. But something else is keeping my from sleeping well. I also cant shake the feeling of them working for something bigger. The woman i saw had pale blonde hair, i feel like shes important. I'm really trying to remember my dreams better. If they are benevolent, i want to talk to them. I want to understand, or at least try. Does anyone have any ideas on how i can commune with them? I want to see if i can establish some sort of relation with them to i can communicate with them further. I'm curios on how this works on a spiritual level. I'm not too much of a spiritual person, but i like some of the things its offers. I meditate sometimes. Maybe i should practice it more. One thing is for certain, my sleeping schedule is basically ruined. That is wild. You have a great memory and good recall. I am glad you are not threatened by them. Nice people are a blessing. That would be a good start on 'communications'. The one standing over your mother, would you say that was a totally different race? How tall would you say that person was that was standing over your mother? Just curious, I wonder if your mother is going through this? Hope you find out what is going on and that communications go excellent. Owls have always been messengers for me. If I hear an owl before I go to bed at night, there is a really good chance I will see the star people too. "Star people" is the term I use to describe the multi-dimensional entities I've been meeting with my entire life. There are different types, some of them are very friendly and I consider them family. Others are more neutral or scientific-like. Sometimes, we contactees/abductees remember "screen memories" instead of what really happened. We sometimes see small, furry creatures like bunny rabbits, foxes, cats, even deer...and this is a big sign to me that the star people were around. There is also something to numerology and seeing numbers. Many of us see the infamous 11:11 everywhere. Right now, I keep looking at the clock when it's 2:22, 3:33, 4:44, 5:55...and I think it might be a sign for me to let me know that energetic changes are coming in waves. I think we are going through a shift in conscious awareness and this is connected to energy vibration. Many people who are "waking up" and becoming more conscious will see 11:11 all the time. Rainbow lights, bright white flashes...all signs of multi-dimensional contact, alien abduction, or even military abduction, but that's another story. On a spiritual level, this is a good thing. You are growing, learning, becoming more aware of what is really going on in this reality. It has been happening all the time, but you are just now becoming aware of it. That is a good sign for your spiritual progression moving in the right direction. You can communicate with the beings if you try and stay calm, try to stay awake and aware, and just start talking. You will be able to tell a lot about their intentions and if they are friendly or not if you pay attention and observe them. With a little practice, and I am sure you can do it because you are so good at lucid dreaming, you will be able to communicate with them. One of the most important things to know is to keep LOVE in your heart and do not be afraid. Even if it was a bad situation, you would be able to handle it much better if you were calm and at peace. I have an update on whats going on. 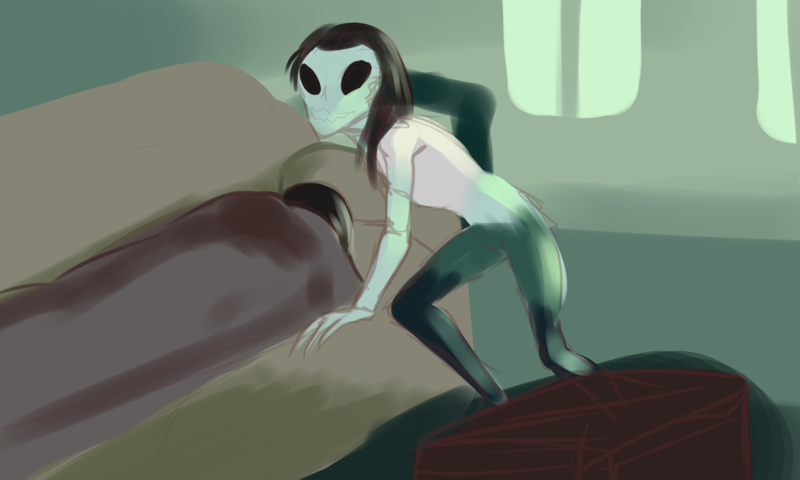 I had a dream were i saw this weird creature. It seemed 2 dimensional and abstract. He was made of many colors but had a black frame.It looked like it had no eyes. But at the same time it did. I couldn't replicate it on paper, but ill try again. I didnt get a good look before i woke up. The next night i had a dream i was in the rundown environment. There were these children, who didnt seem quite human. They wore human clothes and ran around like normal children did, but their skin was gray. I've seen something like them before a long time ago in another dream. They seemed a little sad however. And older woman who was very animated came up to me. She wore big bulky clothes. She said the children needed a place to sleep. And she was trying to restore this rundown place. She sent me into the sky to get something i cant member. Everything sort of faded out, next thing i member, i was walking along this hallway like place. Everything was refurbished, and nice. each child had their own little area that they took care of. The colors were a nice pastel shade. Every child was falling asleep, or about to go to bed. I think i was making sure they were alright. I went back to the old woman. She said she was grateful, but also felt very guilty. "I keep seeing visions of demise, i'm afraid i've gotten you some bad attention. " She tried going to sleep but then she started kicking in her dreams and she woke up sad and crying. I wanted to find out if she was ok. But i woke up. I became ill afterward. When i'm ill, i don't have dreams. Or maybe i do and i just cant remember them. I haven't ad a sickness like this in a long time. I feel weak, dizzy, im coughing a lot. My throat is sore, an my nose is stuffy. My hearing is very strong. I can hear the littlest things. I can hear a hum come from everything. Sometimes quiet sometimes loud. Depends on what im standing next to. Certainly a noise ive never heard. My right arm is sore for some reason, not sure if its relevant or not. Lastly i had this very intense pulsing ringing noise. I felt it in my head and it didnt hurt. It just feel weird. It made me space out for a moment. That's all that happened so far. Its really hard for me to type. But i managed to muster up some energy for this. I think its a different species that stood over my mom. It didn't give off the same feeling, and it was really tall compare to the blue ones. You might have a sinus infection or something going on in your head to make it all stuffed up and all the sounds are amplified. You should check into healing yourself. The dream you had sounds like you may have possibly met some weak hybrid children. It is good that you tried to help everyone, it says a lot for your character, but you may have gotten yourself drawn into something more than you could handle. It is difficult to describe, but sometimes your energy can get wrapped up with other people's energy (even star people or other entities). If they are feeling weak or sick or they have low-level energy, some of your energy could have been drained. One thing that is vital to know is how to protect yourself. You need to learn how to put up a protective shield of energy around your body to avoid getting your energy sucked out (whether that is done on purpose or by accident, it can happen). I made a 30-minute meditation called Grounding, Centering, and Shielding that might help you learn how to do this. You also said your right arm is sore: is it the whole arm, the elbow, the shoulder, what part? I'm asking because I have recently experienced a sharp pain in my right shoulder from out of nowhere and I think it could be related to a nightly experience. Its like a muscle pain in my shoulder. Like i've been punching or something. It traveled down sometimes. I haven't had and dreams but i receive a few small flashes if the blue aliens face before bed. I also get this blur that goes pass my view here and there. Ims till very sick. I also have unexplained back pain. But i stretch every morning. Like muscular stretches to help me move. My friend whos into abductions told me rapid nail growth has been associated with aliens? Ive been a nail biter my whole life. I never let them grow. Since the dream that kicked this all off i haven't bitten my nails. The urge is there but i cant bite them And they are growing really fast. My mother does nails, shes wanted me to stop biting for years. It makes her happy to see them grow, but even she admits they are growing really fast. Just a bunch of abnormal things happening in such a shot amount of time. Piff, I hope you feel better soon. Rest up and heal. And quit biting your finger nails!!! My vivid dreams are coming back. Why do dreams feel and look so much more real than reality. Why do such small details like the texture of my shirt, looks so visible? Thats something that i always wondered. And how do i know if my dreams are a experience and no my mind making things up? Well on a operate note. I have this strong, unrelenting feeling that something major has been set in motion. Im not sure what, but it feels like its simultaneous bad and good. Im not sure in what way or context however. Ive been reading up on the numbers i see. 2021 and 2028 seem to be important religious dates. Ive been seeing flashes of these numbers many times when i sleep. Im not religious. I respect it however. Im not really an atheist either, since i feel there are somethings that just cant be explained by science. I believe science, and spirituality should not be so separated, since it could lead to some interesting discoveries. So seeing these numbers really confuse me. My friend likes reading stories about alien abductions. she said that abductees who communicate with aliens say that they plan to show themselves around these times. Maybe that's whats going to happen? Another thing, why did the aliens in my original dream say i was the leader. Will they tell me? Im also wondering, do they plan on taking certain people with them? Im not sure where, but just with them. So many nagging questions. I cant answer them, i cant rely too much on what i read or see online. I wish i can just physically see them. And talk to them. Also there's this dream i had a couple years that ive been wanting to share with you all. Its one of those dreams that really stuck with me. The kind where it felt a millions times more real that reality, and i could feel the world around me, like the ground, and the wind. I remember that a little grayish green person walked up to me. It was childlike and smiled a lot. I was completely aware it was a dream, and i looked around all confused and just taking in all the detail. I am going to take time to draw the scen when i can, but im just going to describe it now. It was definitely not earth, given that the horizon had many moons lingering int the sky. It was sunrise or sunset, but the sun didn't move so i couldn't tell. The ground itself was like a cracked dry desert, but it wasn't too hot. There was 6 houses facing each other. # on one side, 3 on the other. They looked really nice, they had front lawns with green grass and a nice paint job. The little one took my hand. His hand felt soft but a bit firm. "Come this way they want to meet you." I went, i had no real reason to protest or run. I felt more confused and delirious, i was still trying to process it. We went to the middle house on the left facing the sunrise. It had flower planted int front. I tried focusing more on this bit. I went inside, it was like a nice normal house, and there was a tv that was playing baseball. The couch was green and the interior was like any other nice house. There was a dog on the couch and a red headed woman sitting at a bar by the kitchen connected to the rest of the house. There were also stairs to the side facing the door. The dog had the same colors of my dog, but it wasn't the same dog. The woman had a freckled face and wore a green shirt and jeans. Ive never seen this woman, this house or this dog in my life. But she looked at me like she has known me for years. "Hey, i've been waiting for you, we are excited to meet you. Especially him, hes been waiting for a long time." "Who him?" I asked pointing at the little green boy. He just stood at the door. I didn't get to see his face. He had a red, black hair, and pale peach skin. I woke up before i had the chance to even ask anything else. I woke up like i've been holding my breath and me waking up was myself remembering to breath. I didn't need to write this dream down. I still remember it clearly and vividly. I remember more that almost all of the dreams i hold on to. Well, i just wanted to share all of that. Maybe one of you has some ideas u want to share. Im not sick anymore. Only real issue is allergies. I had no dreams for a while. But then one struck me last night. It was a basic silly dream. But then it got very existential. Im suddenly looking at a ball of energy. Like a really bright warm light. The surroundings made no sense. It was all odd shapes. I felt like i was floating in space but space itself was nothing but colors and shapes that add up to nothing. The ball if light looked at me with 2 white things that i assume are eyes. "Perhaps existence itself is not what represents us physically. We are but balls of pure energy and emotion that manifests in a realm of physical technicality. In a new dimension, we live a life of piece, tranquility and thought. And we have control." That's what it told me. I woke up right after. And resumed my day as i normally did. Im not sure what to say about it. But it was very thought provoking. On another note i keep experiencing some form of event. I keep seeing the numbers 111 or 1111 EVERYWHERE I GO. Im not trying to look for these numbers they are just there. On my clocks, my phone notifications, the time stamps on videos i watched, the number if likes and re tweets i get. The icing on the cake, i recently purchase a video game called "fallout 4" and i start in a place called "Vault 111". Once again i should preface that im not at all trying to find these numbers, but they pop up everywhere. My house lost all of its power one day, the clock sets to "11:11". People tell me it represents progress or some type of major change. Whatever it is, i have no doubt something is trying to get my attention . I just checked my phone as im typing this. My email notifications just reached 111. Isnt that a hoot. Thats pretty wild, Piff. I am glad it was a good, friendly conversation. Nice that you got to remember a good meeting. Pretty cool verbage in that message. Great to bump into nice people. Dream details can be very clear and real because when our physical bodies are asleep, our conscious awareness can move outside the physical body and go into the etheric or astral body. The details we can see and sometimes really vivid colors are because we are having a real experience. Your awareness has simply moved into another one of your energy bodies. There are many different theories about if and when star people/aliens will publicly introduce themselves to the Earth. I personally think they are already in contact with those of us they need to be. And the government is not going to announce the existence of ET unless they can benefit in some huge way. There is talk of a Fake Alien Invasion being planned by the secret government (who controls society). This invasion is part of Project Blue Beam. There are so many questions we all want answered and I really think the best way to find the answers you need is to look within yourself. You are correct about not trusting everything you see on the Internet. When you do research, you will have to sift through everything to find the truth. You have to put it all together like a jigsaw puzzle. A lot of people have some truth, but nobody has all the truth you need except yourself. If you have not started doing it yet, you might want to start writing your dreams down when you wake up in the morning. You will begin to see patterns and symbols that are personal to you. Then you can make your own dream dictionary. It can help you understand your dreams better and when you have an experience with other-worldly beings, you will know it because it will be so different from everything else. I used to ask my star friends who I was and where I came from and what this was all about. They told me that if I knew everything, I wouldn't want to be here anymore. To the best of my own inner knowledge, I came here, incarnated on Earth, for a reason. That reason is to help humanity. I have known this since I was very little, probably 4 years old. Nice dream you had with the energy ball. I have seen a lot of those in my experiences. You may be on to something there: some people do think we are balls of energy when we are not physically incarnated. LOL! yes, the 11:11 numbers are one of those signs you are waking up. I love that photo, Bonnie. You can see purple on the belly of that sphere. Possibly the energy signature from the gravity engine. I was wondering if you can tell me more about the spaceship picture? I dont have extensive knowledge on the different types of ufo's so i'm really curios. So new developments. I have more dreams of the world being attacked by missiles. Me, my mother, and her best friend are all about to eat and watch tv. There's a lot of whistles and explosions. There's war in the distance. Its not too close to us, but we can definitely see it. I think that they employed aliens to help them fight against what i assume is "the bad guy" Since we had a weird creature in out house who was sent to "protect us." And their were unique crafts in the sky with the military. The creature looked like it was inside a large computer controlling something i couldn't see. Thats all that happened, i barely left the house in the dream. Now in terms of the triple digit numbers. I went from just being 111, to many different numbers all the time. My family has even started saying "Why are there always triple digit numbers on the clock?" "It always happens when you come in"
I never get 999 666 and rarely ever get 888. These started showing up after i noticed a weird, but painless vibration feeling in the top left of my upper back. It will just start vibrating, and it feels like there's something under my skin, but i'm not sure. but as soon as i became aware of it, all the numbers started to flood in. I have a tattoo on my back. Its a Triquetra. I have always had a strong respect for the number 3 and its role in our universe. But i highly doubt its linked to the "buzzing" im feeling. I looked down for a second and its 333 for me right now. A lot of 333's just on my screen. I was getting lots of 11:11's. Day time, check the time, 11:11. That night, 11:11. Next day, 11:11. That night, 11:11. The odds are incredible, unless you are watching the phone or clock. Then it became double 12's. Then it was 13's, like 11:13, 12:13, 9:13, etc. That creeped me out. Now thats gone. Back to nothing or neutral. Your dream sounds like 'maybe' its from a future time, maybe from an alternate reality. Thats my humble opinion. I am not one of those 'dream' people that look deep into them. But I have been reading about how they 'might' be from an alternate reality, and sometimes my own dreams make me think this also. Like one night, I saw 3 different versions of myself in 3 lives. One, I was studying the Jewish version of the Bible, and was strong with the Jewish Church. Another, I was completely different. Another was even far more different then the others. Very odd. I still remember reading my Bible at a night stand, same bedroom, but different everything else, and I was thinking about Church the next morning. Sometimes... I will dream 'in a place', like its a land of nightmares, and many crowds are there, and bad things happen. Lots of people screaming. Once while dodging a giant, fast moving train, that jumps its tracks and comes into a crowd, we all dodge it just in time, and I am on the ground, next to a blonde woman who is also freaked out, and above me, in the sky, is a huge airliner that is coming down right at us. I remember running from it, trying to dodge the engine that slammed into the ground and was skidding straight towards us. So many bad things happening, so many screaming. It made me think, when I would go there again, that it was a special place where nothing but these things were happening. Disasters... Nothing but disasters. How I love a cool, peaceful, nice dream. By the way, can you describe the alien? What did he look like? Can you remember what the computer equipment looked like? Normal screens and things or perhaps something readically different from human equipment? Did he had gray skin, white skin, blue skin, reddish skin, green skin? Did he have big eyes, almond shaped eyes? Did he have hair? That would be interesting to know. About the spaceship photo: I get a good feeling from it. It appears to be a silver metallic orb with an energy field around it. I have encountered silver orbs in my experiences with the star people and they have most always been a good thing -- the only time an orb was not good was during a military psychic attack. The military personnel were using the orb to emit low-frequency waves that were affecting me badly, making all my movements very slow and sluggish...they were trying to stop me from reaching the safety of my yard and house. That was their pathetic way of doing that. I clearly saw the orb they were using. Every other time I have seen the silver orbs they have been helpful to me. On a couple occasions, silver orbs came to help me find my way home when I needed help after a psychic attack. The star people seem to use them for various purposes. The energy emitted by the orbs can enhance psychic powers. I have had many dreams about war and natural disasters. In fact, among contactees, there is something called "the disaster movie" or "the disaster vision." The star people have shown many of us similar scenes, possibly to warn us about the future or possibly to show us what could happen if we do not change our ways here on Earth. The number synchronicity is something that has probably happened to almost ALL consciously aware people. Everybody knows about this. I am all the time seeing 11:11 or 2:22, 3:33, 4:44, 5:55...it has been years and years of it now and it does not surprise me at all. What does it mean? I cannot be sure but, for me, it says something about energy changes coming in waves. And it is also a little sign from Spirit/Source saying "Here I am! LOL! Look at me!" Yes, I love the photo of that sphere too. It really is an amazing photo. You can totally see an energy field around it. It's also amazing how I took the picture "by accident" and did not even know I had the photo until 3-4 days later when I uploaded the photos from my camera to the computer. About your dreams of the nightmare place: Trains are sometimes seen by abductees or victims of MILABS. In one of my experiences, I saw a large train barreling out of the sky toward me. It was loud and scary. I really thought it was going to fall on top of me, but it went right over my head. I actually ducked. Then I went into a frightening experience where I was told that my children were missing. But I was aware enough at the time to realize what was going on, so I did not fall for it. Instead of believing my children were gone, I imagined strongly that they were in their beds sleeping...and I opened a door and there they were sleeping peacefully. We can do wonders with the power of our minds. If only we could just create peaceful dreams and good sleep every night. Hey! There's a thought! Let's focus on that one! 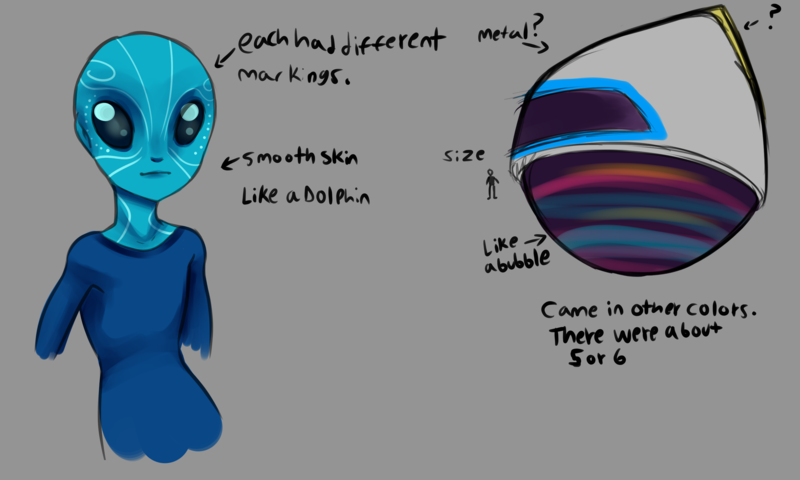 to Wing, the alien was a lot similar to the blue one, but the skin was red and the markings were a little more angular. It was angrier looking, but it seem like he didn't have as much mental power as the blue ones. Like he was just being "programmed" to protect us? The machine was this weird purplish box like cubical. Like something they installed. Very advanced looking, lots of little lights. Bonnie, thank you for sharing. Is the silver ball something you see often? Ive seen a red ball of energy in the sky once. Me and all my friend saw it, we wanted to record it but no one had a working phone. They all shut off for some reason. but that was the first time i saw a UFO in the sky, i'm wondering if its similar? I have new stuff to share. I sometimes sit in the shower and think. meditate too. Usually i remember memories or past thoughts that i had out of the blue. When i was a child, i was plagued by night terrors that always had the same monster. Some type of weird black creature with red eyes and a green like shell. It always attacked me and i felt a brief but painful pain. I was always scared to sleep a night. Went on until i was 4 or 5. The monster went to attack me like always. I never got used to it. These two people picked me up out of nowhere. they looked like mom and dad, but they didn't feel like mom and dad. Like thy were just pretending to be them. But i didn't mind them picking me up, i felt safe. They opened one of the doors in the room into a blinding white light. When i awoke, i felt a surge of relief and happiness. I never saw that monster again. i remembered some of the many dreams i had in my adolescence. Often in this large blue building, very elaborate and detailed. Like a fancy Baroque castle. The windows were stained class with weird designs on them. The dreams always took place in very elaborate places until i was around 16. During these dreams im am often treated with royalty. Sometimes i met people in passing, looked human, never had human colored skin and or hair (always a variety of colors) I didn't know how to lucid dream at the time, so when i was younger, this was just me dreaming vividly. but dreams like this always made me feel different. Like, gut instinct different. I dont remember what i was wearing but it was something comfy, that i could feel. Even if i slept with nothing on. I was treated like a princess, but not like some Disney princess. like i was some kind of very important young girl who they wanted to teach to become a better person. At least that what they told me in one dream. I'm starting to realize the people play a major role in almost every vivid dream i'm in. Even the silly lucid ones i have. I'm starting to remember faces of interesting shapes and colors. Always so nice, and sometimes bowed to me. Called me leader sometimes. from 17 to now, is when my dreams began to reach a new level of crazy. That's when my dreams began feeling more real that reality itself. I remember flashes of the blue building during these times. I hold on to as much detail as i can when i dream. Recently i try to do a bit of meditation before bed. Just letting my mind wander. I make sure my room is completely black. I always see geometric colors and patterns a few minutes into meditation. In fact, ive had that my whole life, but i never thought anything of it. I asked my mom if she sees it, she said no. Which makes me wonder what it is. During this i get a bunch of flashes of alien faces. Its always so surprising to, sometimes kicks me out of my trance. "We want to help protect you all, but not just yet. We have royal star seeds we need to preserve n this planet. Ive never heard of a "Royal Starseed"
Whats wild, Piff. Very interesting. I really think that sometimes we go places and interact with people. I think thats fact. * For we are not of this world. * Jesus stated that we become 'heirs to the Throne'. Also... You said someone wants to protect you. Be careful. I have had dark forces say this. They were going to protect me if I gave up Jesus. They do not say this at first. Its like a used car salesman trying to sell you a bad car. They tell you the good things about it first. They dont tell you it has a bad head gasket, AC is leaking, etc. So beware. Also... I have been to special places like what you talk about. Manhattan has been to some as well. One is a mountain valley with several giant mantions in it, like French Rennaisance era castles from France, Sweden and England. Another place is like reddish tan hills of molded like sand stone with giant holes in them (like in Tempe Arizona), and dinosaurs and bears and things. Animals all over. 3 Terrydactyls flew over a lake and right over my head. I was alone there, and a giant bear walks up to me (like something from Disneyland) and I see its a man in a costume, his face barely visible in his chest hair, he asks me 'are you supposed to be here?' and 'bing' I wake up in bed looking at the ceiling. Many people were there, and I saw them get there group by group, and it was like a reunion. One group, a mom and dad and a son about 12 years old were there. They were so happy to see him and were talking to him. I think perhaps either he had passed on or they did and they were getting to see each other. Thank you Bonnie for that. I will be working on that. So i woke up assuming i wasn't having any dreams. I went to draw a dream catcher for a friend and suddenly my mind was overloaded with information of the dream. It was me and 2 other people in some type of city. I don't know the two other people but i recognize them. like i've see them before and we talk to each other like we've know each other for years. 2 men with white hair. The city is like a mixture of an ancient Chinese city and an Aztec ruins. There are people trading everywhere. There are steep stairs and its built inside a large mountain, there are many turns and alleys, and a few people with oddly shaded skin walking about. There people of African, Mayan Aztec and Chinese ninetieths who live here, as well as some i cant identify. The city is lined with jade and some other kind of stone. me and the two other people split up. I walked down the stairs, i saw some children crying so i helped them a bit and kept going. I went into a walkway that led to this living area, Out side was a table loaded with different stuff. It was surrounded by children. They were all playing with the stuff on the table (arts n crafts and old toys it seemed). They all ran off laughing to go play. 2 or three kids stayed behind. I talk to one small Asian girl. She had short black hair and wore a red dress. She was painting and drawing I asked her how she was, she says she was fine and that her family was away. we talked, i cant remember what about, but she was very articulate. Children in these dreams always seem so smart and wise. I sat and drew with her, keeping her company, made her laugh. How i look in my dreams always confused me, since i didn't really look similar in real life. But i still had my face. and i always looked the same in my dreams (give or take a few things) . The two people came to me and said we had to go. I said goodbye to the girl. We helped a few more children. But we were trying to get somewhere...i don't remember where, sadly. Something purple, but i'm not sure. Yes, I have seen the silver orbs fairly often. They emit an energy, and maybe that is what seems to be a force field. I was just talking to a lady last night at a friend's house. 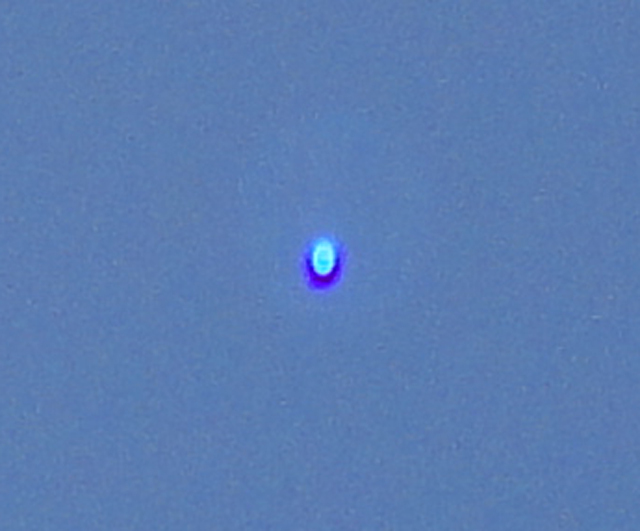 She said that she sees blue orbs.... You and your friends saw a red ball of energy in the sky. Maybe they come in all colors. Recently i try to do a bit of meditation before bed. Just letting my mind wander. I make sure my room is completely black. I always see geometric colors and patterns a few minutes into meditation. In fact, ive had that my whole life, but i never thought anything of it. I asked my mom if she sees it, she said no. Which makes me wonder what it is. During this i get a bunch of flashes of alien faces. Its always so surprising to, sometimes kicks me out of my trance. Wow!!! Thank you for that confirmation! I also did the same thing when I was a child. I would lay in my bed in the dark and see colors, patterns, and also things that I liked: candies, ice cream, toys. And if I kept focusing, I would see other people (humans) and then star people/aliens. I have just recently realized what this is!!! It is called the Third Eye or Pineal Gland at work!!! Recently, for the past month or so, I have been practicing this. When I go to bed, in my very dark room, after about 10 minutes, it starts in. I focus on the center of my forehead and I begin to see a pulsing, purple light. This becomes more intense and the purple light is bright. I can see it even better with both my eyes open. Then, when I focus on it, I can change the colors from purple to blue, green, yellow...even red. This is what happens when your pineal gland is active. It happens mostly at night. The pineal gland releases melatonin, which helps us sleep. It also releases a chemical similar to serotonin called DMT. This is a natural chemical but some people take synthetic DMT to "trip" and have incredible insights. They even see and interact with "aliens" or "elves" or "dwarves" while they are in that altered state. Please check it out and I would love to hear about more of your nightly meditations and seeing the colors and patterns! I wish i could see stuff like that more often. I live near a city, but it way to bright and way too low to be a plane. Maybe ill see it again one day. The thing with the 3rd eye, that could be a very important detail. When i settle in, i often get very crazy images shapes, colors, faces. The night be fore the dream, i was dozing of, and there was a pulsing golden color coming from the center of my head. I will make sure to post any happenings with this in the other thread. A thing my friend said to try is marijuana. She often jokes of it being "alien salad" (would be an interesting concept) She said when you smoke, your head feels open. Like you mind is completely open for new ideas and thoughts. Her and her aunt are very spiritual, and often use marijuana for certain things. I'm not religious, but i respect any peaceful practices, and i feel that the human mind is much to strong, and the universe is way to vast for there not to be something. So i always opened to concepts from others. I personally think Jesus might have been an alien, just based off the old paintings. As for the triple digits event. I decided to take screenshots of ever time i saw it. Give or take a couple. This was in the span of 12 hours. I saw all of these digits today. Keep in mind, i wasn't actively looking for them. I always seem to glance onto them. I don't think it counts if i'm trying to make the digits happen, so i never force it. File comment: A collage of all the triple digits i managed to take a pic of today. For now, ill focus on this "DMT" idea. Im going to experiment and observe the effects. Ill make sure to report it to the other forum. I have had this happen. I remember it was very odd. Things werent to scale. Its mainly happened only once where I remembered it. Everything was basic shapes. Hard to explain. I have to tell you. In my 'experiences' trying to get bad spirits out of my room and home, I 'resist' them. I 'yell' at them. I look for their outlines and I point at them and tell them to get out in the name of Jesus. Lately though, in the last several months, at night, I have found that its easier to close my eyes, and I can see in the room. I cant explain it. After a good yelling at the bad guys, I will get a headache in the center of my forehead that feels sort of like a muscle cramp. I have to relax my face for a bit. But, oddly, I can see with my eyes closed and I can only figure that somehow I have found a way to move my spirit out and forward of my forehead. I have often been able to start to see things around me at night with my eyes closed. I can watch a spirit tip toe up to my bed, beside me, like he is sneaking in and thinks he is invisible. I see the person clear as a bell after a while of relaxing in the dark. That is another instance where I see often with my eyes closed. That said... I have to try out this colored view thing. Sounds wild. Thanks for sharing that. I just read your post, Bonnie. Pretty cool. Before i say my dream, i wanted to inform you of strange happenings during the day. There's a lot of helicopters flying over my house lately. They she fly over, sometimes twice, and leave. I also recently got into a physical fight. I've never fought anyone before. Lever had to. but this person was trying to hurt my mom. I don't remember much, but my mother said that i can really fight. Like i've been training for years and i was using moves and pinned the man down to the ground and held him like a pro. I remember feeling numb, like some sort of second nature wa me to retrain someone in case things got bad. But like i said, i've never fought anyone before. I remained completely numb until i got home. They it all kicked in, I have NO clue what happened!! Im also still receiving that strange buzzing feeling in my back, cant figure it out still. Its not my spine, since its too over to the left. New weird dream. This one is a bit odd to most of them. Ive stated before that i always look different in my dreams. Different body or hair, always the same face however. This time i had my normal body. This is the first time i actually looked like me. Only difference is my hair. Its blue here. I'm sitting at a table in a kind of classroom. There's a man with white hair and skin at a podium behind me. Next to me is a girl from grammar school. I rarely see family or friends in dreams but it can happen. This is the thing...I barely know this girl other that what i've seen in grammar school. I dont remember her name, but i remember her face. I wasn't popular in grammar school. I wasn't like the other kids, i was a "nerd" and i was bullied. She was bullied worse than most of us. I had fear of being associated with her. She wasn't "pretty" she always smelled, and dressed in "bad clothes". I wasn't bullied like her because i was considered "cute" and i didn't smell. But i was too different. I had no other associations with her. So i had no idea why she was there. I get up to go get coffee. I bump into a guy. before i state this, i should state that i've never been in any relationship. I have no clue how romantic attraction or romance works outside of tv and movies. And i never seek romantic affection. I had a strong attraction for this guy, not lust, but some time of romantic feeling i cant pin point. he's glowing a golden light when i look at him. He's absolutely gorgeous. However i can feel that i'm being forced to feel this way for him. I cant explain it. I managed to gain control of my dreams and walk away from him and back into the room with the girl. Then the white haired man begins to read of a piece of paper, all of my insecurities. Documented. "Considered Ugly by today's standards. But is considered pretty by family and friends. Small superiority complex, Socially inept..." So on. I look at him, he makes me feel cold. The guy comes into the room, with the glowing light around him again. I'm able to control this affection for a but but then i'm suddenly falling head over heels for this guy once again. "You choose to be with this undesirable? " Continues listing insecurities. The guy proceeds to sit next to me, says loving things, hug me and even bring em lunch. Its all romantic and i can barely think, but i still feel like im being forced. But i then look at the girl from school and feel sad for her. She doesn't get any love. She didn't deserve that treatment in school...does she get nothing? I get flashes of places i've been to in old dreams. Places i remember. We are both moving around these places. Laughing, looking, like he's showing me around. Then i'm in a boat wearing winter clothes, He's in it to sailing it into an alley way canal of a big city. The city looks worn, graffiti everywhere, somewhat futuristic, but also post apocalyptic. The guy looks at me and smiles as we sail into this city. There's a 2 door building surrounded by street arts, flyers and candles. I wake up before we go inside. I think i'm starting to remember more details in my dreams. Light brown hair, peach skin, casual clothes. he looked rather normal, besides the golden glow thing. Cant remember his eye color. i think it was green. 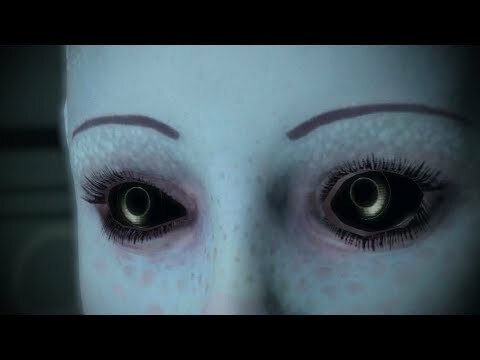 I wonder if its possible to revisit old dreams to continue or see what happens, or maybe some of these take place in the same world? I know some of these dreams are just silly thoughts sometimes. I wish i knew some sort of super dream expert. I feel like there should be people studying this more. there's certainly a science to it, and it should be studied. That is wild, Piff. Goodness. Amazing details. I feel like a read a short book, saw a mini movie. You asked.. Can you go back into a memory, a dream. Yes. You can get hypnotized. I did it 'once'. I only saw the carpet of a vehicle. That was it. But, I saw it first hand. You are still awake, but its like you have one foot 'in' the dream, like you can go into a DVD movie. Its crazy. But note that you might remember things you do not want to remember. Its like a double edged sword. Great point for one thing, very bad for another. When your subconcious blocks something, its for a reason. But also, some of us are 'erased' in our little trips, and I think thats unfair. Thanks for sharing your dream here. That was a lot of detail to remember -awesome! You might want to do some research about dream symbolism. Edgar Cayce was a famous psychic who wrote many books, some about dream symbolism. This is a link to his book entitled "Dreams & Visions." Your dream could be telling you something about yourself that you need to figure out. Perhaps it is trying to help you learn how to form relationships. ? Im going to be doing an experiment. I have my house to myself for a day. The house gets very dark at night. I believe perhaps i can use the triple digits as a way to answer questions. After doing so research, i came across a couple of articles stating how each set of numbers have meaning. Ex. 111: It represents progress and healthy thoughts. At least that's what i'm getting. If i combine this with activating my 3rd eye. I'm going to try to ask a question into the dark and see if i get any responses from my brain. I will also have a number generator next to me on my phone. If i land on any triple digits, i will use them as a answer towards my question. The questions are going to be simple. Nothing crazy, so i wont jump to conclusions. Of course, this is just a test, i'm not sure if it will be anything major, but i am nervous about being in a quiet house in the dark. On a side note, i'm not sure if you all have seen the increase in alien activity in media. Mega structures, videos, sightings, abductions. I have a gut feeling something big is going to happen. Piff, Good Luck with your experiments! It sounds exciting! Please let us know what you find. And yes, I have noticed more and more UFO reports in the media. If you would like to post any in particular that you find interesting, that would be a cool. I am suspicious about the secret government/illuminati "fake alien invasion" they have planned using Project Blue Beam. We will all have to be very aware and alert and really know inside our own hearts what is real and true and what is not. Thanks Bonnie for the heads up. I did the experiment. Passed out, woke up in dining room. When i see an eye in the dark, can it move? Sometimes i see it move around side to side. I got a couple of interesting images. Mainly faces. I asked 1 question, but i cant remember which one. My heart rate skyrocketed and i passed out. Woke up sweaty and in a panic in my dining room. I'm not sure what the hell happen. sadly the experiment didn't get to far. I actually needed some time to recover, so i sat at my computer, drawing and writing. Funnily enough, i was seeing 111, 222, 333 and even 444 a lot. I saw 999 and 777. I don't see these too often, but i think my suspicions of something major happening are true. Im happy i don't see 666. Last night i saw movement in my room. There was scuffling and movement. I couldn't see what it was but it was in the corner of my eye. I fell asleep. Apparently i was sleep for a long time. I woke up, and went to put on my pajamas. They were soaked. Nothing else in my room was wet, but these pajamas. My phone is missing as well. Ive also losses 10 pounds over night. I have been having a lot of thoughts about this goal i've had in mind. And i want to share it, since i feel its something that should be done. I feel that maybe these numbers are a sign that i should go through with it. There are a couple of projects that are being implemented as of lately. I'm not sure if any of you have heard of the 2045 initiative. Its having the human mind uploaded into a machine to live forever. To me, living forever can be a burden to most. My goal follows this step by step process. Right now i'm nearing my 20's. Im studying to achieve my career. Before initiating my career, i will take 2-3 years away from society, and study spirituality. Just for my sake, at least. Continue living life, and doing what i love most. I will have enough money aside to purchase myself a new body. With my new gift of immortality, i will study both the physical and spiritual aspects of the universe, and help or observe to evolution of humanity. I will continue to study science and spirituality in unison, as well as continue my career and creative practices. With an immortal body, time will official be an illusion. Technology is an important aspect to human evolution, and should not be abused. I predict that technology will have advanced enough for these bodies to be able to constantly adapt to severe condition. I also feel that AI will advance, and instead of living in fear "of a robot apocalypse" That we will instead, grow with it, and expand our mindset. So far this is my goal. I will use my time till then to live like any other person, and continue to achieve my dreams. as well as get rid of my fears of the unknown, and instead, embrace them. So i want to do some hobbies on the side like ghost hunting, or UFO hunting, or exploring. Just to satiate my curious nature. Now in terms of the recent increase in alien news. There are some things i'm interested in hearing your ideas on. Im not sure if you are aware of the recent phenomenon know as "sky trumpets"
Ive joked about them being tripods from "war of the world"
NASA says that they believe its tectonic plates. I don't think that's the case. There are also religious theories. However, i am unsure on those. Its super fascinating however, and it still goes on till this day. Then there's the recent news of an alien superstructure. They say it gets "weirder and weirder"
Why don't they release pictures? Maybe they have. If you google it, there's going to be many articles to read. And then theres these two articles i read that i feel are playing an important role as of lately. In what way, i'm not sure, but its a gut feeling. One again, tell me what you think, i am very interested to hear. Wow, Piff.... 10 Pounds! And you woke up in the other room... I hope you are ok. That is alot to happen in one night. Wet clothes; I often get soaked at night. Sometimes not. But when I do, my pillot is almost soaked all the way through. I flip it over. On waking in another room; I wonder if a spirit took hold of you? Be careful. On a Giant ship; In the Bible it talks about a giant city being built, 'the jewel of Heaven' called 'New Jerusalem' with dimensions about 1100 or 1200 miles in size. It comes to Earth after the apocalypse during the reign of Jesus; a thousand years of peace. A person that was on the Eldridge (Philidelphia Experiment) that was in the catastrophe it had at sea, he and his brother jumped off. It was a mess. He and his brother woke up in the future, perhaps 150 years forward. Healed up in several weeks, then he was taken hundreds of years into the future. He spoke of a great crystal city that floated and it could move to other parts of the world. (Key element, city). On moving yourself to another body. In the Bible it says we lived to 1000 years lifespan. There is evidence in this in babylonian and sumarian texts. A single king averaged a life of 1000 to 1200 years. One person in the bible lived to be about 1100 years old. After the flood and when mankind started eating meat, we started to live to only 80 years old. (Perhaps the aging gene is consumed via meat?). (Birds some of them, have no aging gene. After they reach adulthood, they stop aging). Aliens that have visited Earth use a 'gold powder' that causes no aging to occur. Many accounts of this. Some was found in the Romanian pyramid that had a high tech holographic computer center in its core. The us confiscated the quipment and supposedly it was all destroyed by aliens who believed it was only going to be used to create weapons with. On moving to other bodies. Supposedly the grays do this. Grow bodies, move the soul to another body. Body engineering seems to be their big thing. Bio sciences. The soul has been said to be able to be reincarnated. For instance, they say that 'God knew us before we were born'. They say we came from somewhere else and were 'born' into here. Thats the Bible perspective. Some others also say this. Jesus said that John the Baptist was 'Elijah born again' as it says in scripture. Side note; have you watched the series 'Ghost in the Shell' with Major Kusoko Kusanagi? A movie is about to come out. In the series, some have their brain put in a brain case, and a body made. Brain cases can be easily put in bodies. Cant tell a real human from an AI human from a 'built' human. But the series is based on the 'ghost in the shell' and 'cogniscence.' If you are a program, they say your soul is not in it. Another side note; From my tons of studies, I have gathered from tons of things read including the Bible, that the human element is more sophisticated then imagined. It is a 3 level or 3 stage, 3 dimensional creation of body-spirit-soul. Actually, its soul-spirit-body. Your soul is you. Your spirit is a 'fastening' system to your body, an electromagnetic structure sort of thing that syncs body to soul. So you are sitting in 3 dimensions, just being there, breathing. 3 Dimensions...! Wild concept. That is why sometimes you dream in the spirit world, sometimes in the 'soul' world and perhaps sometimes just resting and thinking in thoughts. I think that 'dreaming' is part of humanity, or even cogniscance. Aliens visit us in dreams. We visit our loved ones that have passed on. They are living 'somewhere'. Jesus said He went to make a place for his followers. I think I have seen some of them. Its wild. its huge. During the Civil war, for some reason, somehow, a doctor in a surgery camp found that every time a person died, they lost a certain amount of weight. Very odd. Its true. Today it is still a fact that when a person gives up the spirit, their body loses such and such amount of ounces. Some say its the soul. On Sky Trumpets. That was big. They havent sounded lately. Even in Russia they heard them. Canada also. That is talked of in the Bible. Scary, but hey, its happening. The Christians (me included) have a popular sticker that says NOTW. It means 'not of this world'. Jesus talked on this. We (Christians) do not fit in because our souls are not of this world. We came here. We are also born again. Quite a while back, after the war in heaven, satan came to Earth. An angel said; 'Whoa unto the people of Earth for satan has come down onto their world.' But soon Jesus will be back and will 'clean house'. Sorry to ramble on. I wanted to share some things with you on those subjects. I do not mean to push Christianity, if it might be perceived that way. I am not. Sharing information I am learning is all I am doing. I heard about this, I heard about that, etc, etc. Also, speaking of the bible, when Jesus returns, we also return to living a thousand years. A baby will pass away at 100 years old and it will be too young. The Tall Whites that have a base in Indian Springs Nevada average 750 to 1000 years age. One there, called Teacher (earth name) came here when she was I think 350 years old. A teenager in her age, talked of our president we had when it was the 'wild west,' the early 1900's or late 1800's. Dont worry, i am open to all religious views as long as their are peaceful. Well even if their bad, i still do, since i learn how people can think. Its good to have insight on the ideals of others. So i appreciate all the sharing people have done. As of lately, i have had no remembrance of me dreams. However, triple digits have been flooding so much, that i've stopped taking screenshots at 105. My 3rd eye is weird. I'm not used to seeing it still but its something i have to look at every night. I've conducted my experiment more. This time in a more controlled environment. Instead of speaking aloud, i spoke in my mind with an assertive voice, and i received a numeric response. I had my number generator. I asked 2 questions. Do we have the ability to directly bend the universe to out will? And, is it possible to come back after death, more spiritually powered? I had no clue it was 11 pm. So imagine my surprise when my clock and my number generator said "1111"
So i do believe i can speak directly to the universe, and ask questions. Ive become incredibly tired afterwards. Like a wave of drowsiness has hit me. So i will need to sleep. I saw an interesting trailer for a new moving coming out, and when the trailer ended, it says at the end 'release on 11 11'. That caught my attention big time. The movie is called 'Arrival' and is about a number of alien ships that show up in several countries. Name of the movie is Arrival, and you can see the trailers on YouTube. I have been seeing the double numbers massively lately. 11:11 mostly. Also 12:12 is a popular one that I keep catching. At the hospital 2 days ago, it was 13:13, which kind of freaked me out. 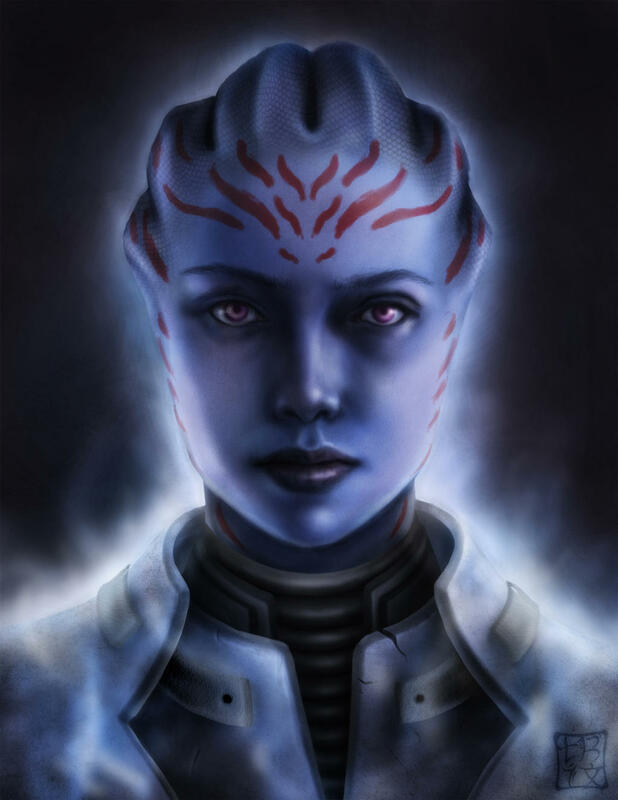 the alien described here is pretty much an Asari from Mass Effect games. 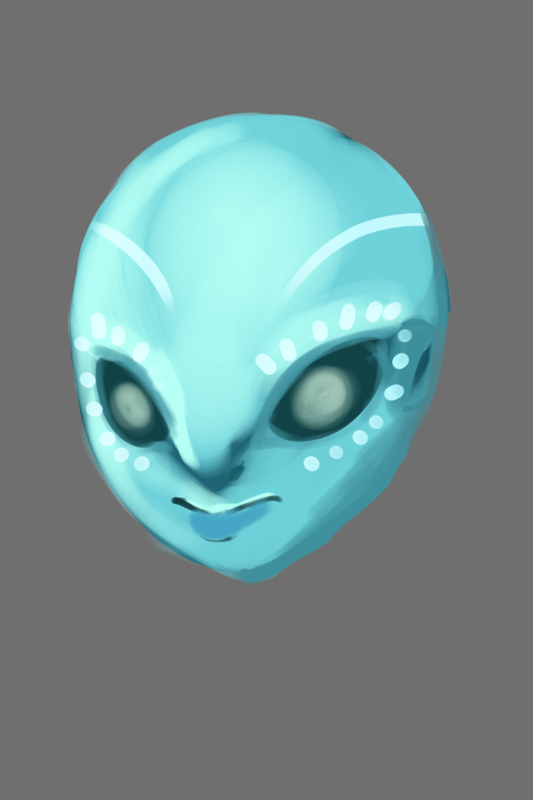 Blue aliens, each has an individual mark on their faces, 100% female, can alter someone else perceiving of reality by touching then, the eyes can go full black, it is attractive to all alien species for unknown reasons, rubbery skin. I wanted to inform everyone that im ok. I've been very busy with many things. Sadly, my dreams have been mostly blank, nothing much but images of random places. Ive been working on opening my 3rd eye more during the night before bed. Something happened. I saw faces when my eyes were closed. When i became aware of them, things in my room were being moved around and relocated. Scared me pretty badly. Triple digits are rising. In fact, i feel like i'm able to use them to answer certain questions, but im still rather unsure. Ive rounded it up to seeing 4-5 triple digits and hour, on average. Ive seen them all, but i've been seeing 777 way more lately. I think its a good sign. I keep getting a vibe of drastic change...i'm not one for tarot cards, but i still find them interesting. My friends been visiting me recently, practicing them while we relax and hangout. Each time, ive gotten a death card. She said it's not always bad, its a sign of the beginning and the end. A sign of change. Not too comforting. I don't fear death, i fear not being able to accomplish my goals in life. Many things have been catching my attention in media. lot of alien base news on almost all of my sources. i'm a little scared, honestly. It could be a sign, or a coincidence. There's no telling for sure. We'll have to wait and see. I do want to see this movie, since i have a very large fascination with things like this. The same thing could be said for the blue aliens in Avatar, honestly. I was told they were both inspired by a real supposed species. The aliens i member were shorter, and also come in more colors apparently. Remember that God answers questions also. Tarot is like Ouigi. It will invite in spirits that can be very scary. Joyce Meyers says that prayer should be 50% praying to God and 50% listening. A lot of people do not realize that their answers might arrive 'right then' when they pray. Also, the voice that the Lord and Holy Spirit use is 'very still, very quiet' in your heart, in the 'very center' of your mind. (Not off to one side, etc). So know that His voice is so faint, non-overwhelming, that sometimes you may miss it. It takes a careful ear to start hearing the Lord inside your heart. Just laying out an option for you in seeking answers. Thats all. Ive been there. I played 'pendulum' quite a bit. I got a collection of crystals for a while. Bad things started happening in my life. Its still here, but I am back on track. If only I had known to stay away from that stuff. There are people that are right at home with that, and thats fine. Its their thing, their choice. Free will is a gift. I am just saying, be careful. So many 'civilizations' out there. So many answers to questions. Sometimes it seems overwhelming. Just take a deep breath and relax. Tarot cards are a form of divination, they are not evil. The Death card means change and most of the time, that is a good thing. Crystals are also not evil but incredible because they each have their own unique vibrational frequency and they can be programmed (we use them in electronics...for computers, cell phones, televisions, watches, etc). Crystals are used to work with the human energy field, and they can most definitely act as a healing aide. God, Great Spirit, God & Goddess, or Source, whatever you want to name it, it is WITHIN us. If you are connected to God or Source , walking in the light, with LOVE in your heart, you will be well. And you can get through any challenge you face in your life. These are drastic times we live in, no doubt. Now is the time to be strong. Its been a while, but i have quite a large amount of things to share. To start, I've been working very hard to try and strengthen my chakra. I sometimes feel like i can still see with my eyes closed. Triple digits have not stopped. They still come at a steady pace. I've drawn the aliens I've seen so far in my dreams. I had another dream. It involved an alien, UFO's, and even one turning into a human as a disguise. Extremely vivid, yet hard to explain. Heres a drawing of all the aliens i've seen. To start, me and my best friend were walking in a parking lot. I think the day was beginning to end. The sky was clear, but the sun was hidden by buildings. we looked up and saw 3-4 butterfly shaped crafts in the sky. A black car with tinted windows pulled into out parking lot. One of the crafts landed next to it, while the others flew around the city cloaked. A tall, grey alien came out of the craft. 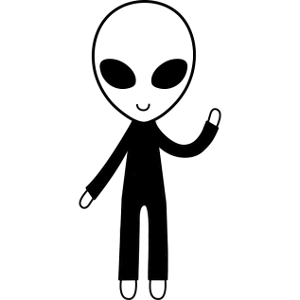 Its the last alien in the drawing. It had purple freckles an its suit was much more advanced than the other ones. It had a much more human like body. I was scared. It walked up to me and spoke. "Oh, I haven't seen you since you were a child." I was very confused, of course. It continued, "We need to take you with us, we need to leave earth." Whenever i have any dream involving these species, i don't feel like i have lucid abilities. I get a very strong vibe he is of the same species as the blue ones. The first thing i blurted was "So its happening. There's going to be a big war, isn't it"
He smile a sad but positive smile, neither confirming or denying my question. Me and my friend get into the black car, were another one of the grey aliens sat in the passenger side. There's a lasp between this part, but next thing i remember is all of us joking around. The other alien had a weird tablet he was documenting on it. It didn't talk as much, but it did joke as well a bit. They are very social and have a very good sense of humor. At least the grey ones do. I stop and ask "Can i take my friends and family? I cant leave them." I saw it look at is friend. The friend nods. "Put down you contact information, we want to make sure we don't scare them." Im assuming they meant they wanted to be as "normal" as possible when they get them. My friend wrote her number on a piece of paper. She was clearly more scared than me. But i seem to have built a tolerance to it. Next thing i remember is the alien morphing into an old man. The old mane had pale skin and platinum blond hair. He put on a accent i cant quite place, he told me to lead him to my home, and take any object i care dearly for, but not to many of them. Afterwards, i woke up. I cant remember more than that. I feel these aliens are physically built to function in specific ways. The blue ones are more peaceful and seem to be messengers. The red ones are smaller, but they can working with computers and weapons. 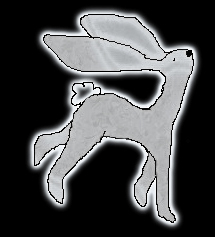 the grey ones seem to have morphing abilities, and are certainly more social. They are the tallest I've met. I've seen many characters in my dreams with the pale skin and hair. I'm wondering if its a disguise for them as well. They certainly seem benevolent. After that, my dreams continued to consist of flashing images and otherworldly noises. Faces, architecture, weird shapes and the aliens. I awoke last night with weird scratches on my arms, and the back of my legs. I have no clue what the hell is going on, but i grow more scare, curious, and excited each time i have these dreams. Before the night i had this dream, i had a odd encounter. I was walking down the street. I saw a stray dog in the road. No collar. I tried to call i but i didn't want to walk to far from my family. It looked at me with beady black eyes. And walked off into a fence. I figured it just went back home. I turned around for a second, and turned back around, and saw it was back in the street, looking at me. This time i followed it. It turned a corner into someones yard, and disappeared. I closed off the fence and went back to my family. I want to assume its just a stray, but the eyes were unnatural. Im wondering if its something like this. I'm debating weather or not i want to attempt getting abducted by them. I've learned its better i don't focus to much on aliens. these dreams happen more if i don't focus on it. My gut feeling of major change has subsided slightly since the election has passed. But it's still very strong. I don't focus on politics. I do feel like there's more than just politics involved with this "change". And i notice a large increase in news involving mysterious happenings around the world, and our atmosphere. Regardless, i feel physical contact might be something i should attempt. I feel comfortable around them. And the come of as benevolent. If anything else happens, i will be sure to tell you all. Thanks for your great post. The drawing is awesome! I have seen aliens disguised as humans before and I always know they are not showing me their true form. Then I usually say,"Why do you look like that?" And they reply, "Because we don't want to scare you." And I tell them it's okay to take on their real form and they do. They usually shrink down quite a bit, getting a lot shorter. Do you feel like you might leave the Earth at some point? I have had many many encounters like this. For years, my "star friends" (as I call them) have been helping me shift into higher and higher vibrational frequencies. They say there is a frequency shift happening on Earth and those who are able to, will shift into a new frequency. They keep telling me we will be leaving soon and the whole world will shift. This is supposed to cause the old "matrix" (the design of everything) to vanish. Kind of like hitting the reset button and starting over. I don't know if we're really going to "leave" or go anywhere, but it seems for sure that some kind of shift in consciousness is already underway. Yeah, I was concerned about the election too. I really hope for the best...but Trump will not be inaugurated until January 20th or so. We'll see what happens. I'm trying to have a good, positive attitude about the whole thing. Perhaps you did see a spirit animal. I also encountered a very strange dog, years ago. He was all black, just sitting in my backyard staring at me when I walked out the back door. It was a bit unnerving at the time. I always watch for signs and omens like that. You are right to look into the meaning of the animal totem. As far as contact goes, just try and relax about it. LOL, I know! Like you said, if you focus on it too much, it won't happen. My star friends would never come to visit me if I was feeling anxious or scared, they always waited until I was relaxed and in a good frequency. I feel like I have to add one more thing: There is a possibility that some of the "aliens" we see are actually some type of advanced military technology...holograms...or maybe the military is working with certain aliens groups (although those aliens are most likely all evil). I have had these types of experiences, but I can usually tell they are not real aliens, and I will even see military soldiers present. I just wanted to point that out so you are aware. I also know there are real, multi-dimensional beings who are definitely here with us on Earth visiting us. When you say you see aliens disguised as humans, do you mean in your dreams or here? How do you know if they are in disguise? Any small signs or hints? In my case, the aliens was quite tall, and became shorter. I don;t know if i;m going to leave, but who really knows? I do believe there's some kind of shift happening that some of us cant handle. I've noticed some of my friends behaving almost irrationally. Last year they were normal, and acting as they always do, but now i see them becoming mentally and physically ill. They live in separate parts of the planet, and its way to coincidental that suddenly 4 of my friends who don't know each other ended up in a mental facility, saying they feel like something is wrong. I think i may be having an effect on my friends. A lot of my friends have said they have been having weird vivid dreams since i've started talking to them about mine. One of my friends had the same dream as me. She said "Its super weird to share dreams with someone when u usually keep them to yourself." The dream started as me at the amusement park with my friends, then there's some odd time lapse where i'm at this odd beach at night near the city i live in. The beach had these weird bones and symbols in the water and sand. I was trying to hunt for fish. Something was going on, where people would suddenly disappear without a trace. They seem to be random people with no real connection to each other or anything really. Everything started to collapse, but the city was still functioning, but food was becoming an issue. So i hunted as to not deal with any of the trouble that could arise from that. i hear something along the lines of a spark noise, and turned around to see 4 or 5 strips of light appear and disappear in the sky. Then there was screaming coming from the crowded area nearby and i wanted to see but i woke up. My friend said she had the same dream, except she was running through the crowd to see what was happening but never did. Ive been very sleepy lately. Very drained. Ive had a recent development where water seems to whisper to me. Ill lay in a tub of water and it sounds like its trying to speak back. The same goes for running water. Winter is here, and i feel more comfortable in leaving my home. Ive developed some kind of resistance to the cold, where i feel i only need a hoodie in 20 degree weather. I leave the house at night now and i look at the sky every time. If i stay long enough, i hear an odd noise come from the sky. I cant describe it but its very weird. I definitely feel happier in the winter. One more thing, ive had these odd flashes of people standing over me right before i fall asleep. I always feel some form of comfort or serenity. But the sleep ive been having has been lack luster. The best way i can describe this whole experiences, is having a bunch of things happen, and trying to connect as much of it together as possible. If anything, i haven't quite gotten used to the idea that i could be a starseed or a hybrid. What does that mean for me as a person? What about my mom and dad? Who's my real parents? My mother has been saying i talk as if i'm 90. there's been some form of role reversal between us, where i'm behaving like a mother, and she's seeking advice from me. She finds it charming, but the "Who's child are you joke" is something i really wish i knew. I feel as thought ive gotten so many answers but even more questions, and the best i can do is sit back, wait and see. I'm going to keep treating this site as a bit of a safe haven for all of my weird thoughts and experiences. I don't think im alone in the matter anymore at least. My friend who drew the first drawing has vivid dreams all the time. If anything, they are stronger than mine, but she doesn't talk about them like this. Im glad you all take the time to read this. Thank you, have a nice night. i have read this entire thread and feel an overwhelming need to reply. first of all, piff, i have had many of the same experiences as you. however, i never considered them all that "special" until reading your post. i have a natural ability with children and young babies. they are always smiling at me and i feel a strong love in my heart for them, even if i don't know them and even if i know i'm not cut out to have my own. animals also follow me and love me very deeply. as a child, i brought kitten after kitten home. once there was one stuck beneath my neighbors shed and she would cry at night. i coaxed her every day for a week straight until i caught her, enduring the scratches and then making her feel safe. she stayed, and i named her luna. from a young age, i have also had ridiculously vivid dreams. they do seem more real than reality, and i often find myself thinking about them and wanting to go back. to just lay down and go back to the world that i was in. i have night terrors, those less frequently since i was diagnosed with ptsd. around the time you posted your friend's mental health deteriorating (i check time stamps often for number patterns), i attempted suicide and was admitted to the hospital for six days. at that time, i was diagnosed with borderline personality disorder and ptsd and have been on three medicines ever since. however, i feel much better now, but i am still as lethargic as i was beforehand. i feel like this is because my body may rest, but my mind is 110% awake, and probably pushing itself beyond its limits. i too went through that moment where i wanted nothing more to research aliens. i have an alien tattoo, actually. i'll include a link of a selfie just for kicks. yes, my beanie has aliens on it too. now i'm enamored with them, though at first i was very scared, just as you were! i was consumed with fear after watching "the fourth kind" and even woke up at 3:33 the evening after i had watched it. i think this was all the memories of my visits and abductions as a child and as a young teenager coming back, which you can read about in my introduction post. hopefully by the time this is approved by bonnie, my thread will be as well and i can link you. or just look out for my user! it's far too long to list out here when i have too many other things to talk about. being as vivid of a dreamer as i am, i too have experienced lucid dreaming and used to be quite good at it. however, now i sort of just allow my dreams to happen. i have unfortunately been plagued with nightmares recently, and i am beginning to wonder why. i may begin practicing lucid dreaming once more. who knows, maybe that will help me make contact once more. anyway, i'm just going to make an itemized list of things in this forum that i feel like may be useful for you to know and may further assist you on your journey. deja vu? : as mentioned before, i am also a vivid dreamer. i suppose i'm curious if you've had any experience with what is commonly known as deja vu. i have an incredible intuition and have many times experienced deja vu. a handful of times, i have remembered the dream or vision in which i had the experience and then altered it myself, just sort of like a "heh, look what i can do" kind of thing. haha! maybe i caused the downfall of the human race. who knows. anyway, now when it happens, i usually just sort of smile because i'm happy with this ability i've had from a young age and take it as an omen that "i'm on the right track". my friend once said these things were evidence of good decisions. i'm thankful for them. apocalypse: yes!! this is a very common thing among abductees from what i've read and researched. along with that, the idea that you're in an edible gel has also been reported. i think that this might be a bit of technology that the grays have developed to cleanse us when we're taken aboard. the earth is dirty to everyone, extraterrestrial and terrestrial alike. trains: i had NOT heard about this, and once had a dream that i was on a roller coaster. we all knew as we went on it, that it would not stay on the tracks. i was afraid, yet i went with the other humans. the first time i was on it, it flew off the tracks, just... somehow denying gravity and catapulting itself away. i held on tightly, and somehow willed it to land gently. it wasn't gentle, but i lived. i don't remember if the others were still on at that time. but i stepped away, and another roller coaster was doing the same thing, though this time i watched as it twirled through the air like a snake dangling from a hawk's talons. it crashed into the city. people scattered. i had this dream years ago, but i remember it so vividly! what could these train dreams mean?? *the orb that spoke to you... that was no coincidence. the universe IS speaking to you. listen to her! *the starseed reference is often what they call people like... well, me. i'm nearly certain i'm a starseed, and you likely are too. that's why you have been drawn to look up at the night sky and somehow feel a longing that you want to go home. your soul is from another galaxy, yet you are on earth. you are here for a purpose, though what that might be is up to you to find out. *the man you loved in your dream with your old classmate... i believe he might have been a nordic. they are described as beautiful, caucasian... yet his glow makes me wonder if he might be something more? in fact, i'm getting an unsettling feeling as you did. i believe he might be a facade and may be a wolf in sheep's clothing! if you see this man again, be on high alert. *the dream you had after seeing the dog... that was no coincidence either. you have made contact, and you are very close and special to these beings... whoever they may be. the flood of the number patterns you have experienced crescendoed rapidly throughout this thread. i had never heard of answers regarding numbers, but it does seem that "1" is positive or a "yes". it sort of makes me wonder if "0" is actually "no". perhaps, "2" means "next". my experience with numbers is kind of unusual i feel. like others, i too see 11:11 and 2:22 and 3:33 etc. however, i most commonly come across multiples of 3 and 9. the number 27 is my personal favorite and i too have seen 21 very often. your vision of the year 2021 is something that's important. i am excited to see what comes that day! i am also rather in tune with the number 5 and its multiples. in fact, when i began writing this reply, the time was 5:55. i've attached a screenshot for the fun of it. what's weird is that i have seen visions of 2020 many times. perhaps, something big will span from 2020-2021. i wonder if it is finally governmental disclosure. we can only hope. on the subject of the third eye, i hope that your meditation is going well! i have never formally practiced meditation or exercising my third eye.... mostly because i just realized i have it. through reading this forum, i had realized that my third eye is very much open. i can see the colors in which you speak. i can see them forming between the lines of the words i type as i write this very message. my energy and chakras naturally seem to align with the center of my forehead. i believe this is where my intuition and visions come from, and why i am chronically fatigued. my third eye is open much more than it isn't. if i focus my energy only a bit, the colors begin to appear. when i first tried to project a shield as bonnie explained, the cord extended from the top of my forehead, just above my third eye. as i type this now though, i'm wondering if perhaps it was from the third eye itself. i am feeling a tingle there. as a child, i always felt that i had some sort of supernatural ability. i could feel when the wind would blow before it did. i was almost struck by lightening and somehow knew it was about to happen, and stepped away from the chain-link fence that i stood against as a (pink??) bolt of lightening struck it. then of course, there's the deja vu and visions of the future. though it might seem unlikely due to the bulk of what i've written here, i am also scientific. i spent most of my life trying to explain the things i'd experienced scientifically, but found that some times there is just more to the universe than what physics or biology can explain. i do not believe in the christian god or jesus that many other humans do, but instead sort of... believe in a light. i see a light when i think of god, and it is warm and bright and encompassing. this light is not the lightening that god might smite a sinner such as myself with, but instead a loving embrace. that is god to me. the universe is god and god is the universe... and the universe is within us... we are made of star stuff! and we are loved deeply and should love others with that same warmth. i am also only about 20, and live alone with two axolotls and my dog. we're in the same part of our human life, yes? so feel free to contact me with any questions. i will answer them to the best of my abilities. that being said, i too have felt... uneasy about this election, and i can tell you that i feel the star people are afraid of the fate of the earth given that trump will be taking office on 1/20 (1*5*4). something big IS about to happen, and i am getting the feeling that it is not a good big thing. the other beings... they are concerned for us. this year was the hottest on record, and in missouri where i reside, we only just fell below freezing. at the beginning of december, it was still 70 degrees. though i absolutely abhor the cold, i knew that there was something deeply wrong with the world at that very moment. i guess in conclusion of all of this, i wanted to say that you are certainly not an ordinary human being. you are definitely special, and have even been chosen for a mission of sorts. the old soul comments and your parents wondering just how you were given to them... that's another sign of a starseed. perhaps, read up on starseeds and you may find just what star system in which you are truly from. however, our life here mustn't be forgotten, for it is important and will provide us the lessons we will need in the future. on top of all of that, you're a very talented artist. i'm glad you enjoy drawing and writing, and i wish you the best on your endeavors on planet earth as well. Not sure how to directly start this one. So im just going to go for it. Certainly put some more things in perspective. I'm happy to see that i encourage you to come out more. I've learned that this is not something that can be discussed with everyone, as you may know. Some things are hard to explain. Especially when you learn you may be different from others. I used to think everyone dreamed the way i did. But as time goes on, and you do some research, you start to figure things out. I've become more of a witness to the world. I'd noticed that i prefer to observe. I like to see how everyone interact, and how their ideals evolve. This is nothing new, but it's something i've become aware of. I've also become more comforted with the idea that Aliens are more than just species from another planet. They know more than we could in our lifetime. I've had a dream recently. I cant remember what has happens visually. But the words "If you know everything, you wouldn't want to live" was told to me. There's many ways to perceive this, in my opinion. It also depends on what this persons definitions of "living" is. They could mean that knowing everything about the universe would make you not want to keep going. You would have no desire to learn and grow, since it was all handed to you. It could be piggybacking of a fear of mine. Learning something amazing, and having no one to share it with. Maybe it could be referring to how knowledge is power, and too much knowledge would affect people more than mentally. And they would be unable to handle it. That last one is something i feel is very plausible. Referring back to the previous post i made. "Last year they were normal, and acting as they always do, but now i see them becoming mentally and physically ill. They live in separate parts of the planet, and its way to coincidental that suddenly 4 of my friends who don't know each other ended up in a mental facility, saying they feel like something is wrong. I think i may be having an effect on my friends. A lot of my friends have said they have been having weird vivid dreams since i've started talking to them about mine. One of my friends had the same dream as me." Perhaps it's confirmation of this. The year seems to continue on, causing more and more crazy things to happen. But i do believe people are finally becoming aware. not everyone want to believe whats in front of them anymore, they want to look closer. They want to change things for better or worse. I've started seeing articles similar to this one pop up on everything i go to. This is a sign of hope for me. I may not have much to offer, i feel i am not ready yet. But there are people out there who can see this all take place, just like me, and they can do something now. In time, things will be better. At least that's what i feel. Ive been making odd predictions. I keep telling people of things that will happen. They never believe me until its too late. I've predicted quite a few deaths. I think another one might happen. But i'm getting a 60% chance. It's scary to have a feeling that everything's gonna go south. So i try to use that feeling to push things in a different direction. Now i would like to talk about a different matter. And that matter is my health. I've gained a strong allergy to small rodents. Usually, it's just a sniffle. But when i went to pet my guinea pig, i broke out in severe hives. This never happened to me before. I could barely breath. It was quite shocking, really. She was feeling sick, and i was nursing her back to health, She healed in a day, which was very fast. So that's fine. Just wish i knew where this sudden reaction came from. Now there's also the fact that ive had a intense urge to change my diet. I woke up one day to fine that i couldn't eat my average food anymore. I craved veggies and protein and fruit. I wouldn't eat anything else, and i even started spending nearly and hour on a treadmill. Ive never had such an urge before now. I woke up one day and it just happens. The holidays past, and mom insisted i eat what the family eats. It made me very sick, since it was such a heavy meal. Afterwards, i couldn't eat for nearly a day. I'm actually quite sick right now. I just wish i knew why food i've eaten a million times before has made me never want to eat again. I cant seem to bring myself to eat anymore. This all happened in a span of 2 weeks. I've also been waking up with odd scratches and blemishes. And i've been very tired. I have an intense need to stand in the snow and look at the few stars i can see. I want to look at them for hours, but i fear my neighbors would grow to worry. But back to my health. My doctor has prescribed me with with medical marijuana. I have smoked before, but not at all often. I haven't used it yet. Im debating if i want to sit in a dark room and record what i see. If anyone is curious, ill share it when i do. On the topic of chakras, i think my 3rd eyes is getting stronger. I head one of the most realist dreams i've had in a while. Like the one were it was so clear, and vivid. I could hear and feel and smell everything. All of my senses were just heightened beyond what i am used to. I was running on a beach. The sand was sparkly like crystals and dark from the water hitting it. It was sunset, but the sky was a unique purple orange hue unlike anything i've seen. the palm trees and the buildings were so detailed. I could feel the muscles in my legs and the air in my lungs. Air unlike anything i have ever inhaled in my life. When i became aware, i could run faster and i could go longer. But i became too aware, and woke up, much to my dismay. As weird as it seems, the dream felt like earth, but not quite. like i was not here. I think this adds the the theory of dreams being another life you're living, and missions you go on. Which leads me to wonder if i could switch realities while in a dream state, and take over a different body, like the one i control now. Then in theory, this reality i'm in, would become a dream state. Something i wish i could scientifically study, but we haven't made it to that point yet. If anyone has any tips that could help me make moments like those last much longer, i would greatly appreciate it. I can still see the sand as if it was right in front of me. I have to leave for now. Thank you for reading. And have a good night. For a long time, back in my early 20's I would ask the star people who I really was and why I was here. They would say to me, "If you knew who you really were, you wouldn't want to be here." I always got the impression I was on some type of mission...and that I chose to incarnate here, to help humanity. And that is what I am trying to do. My perspective on it is this: I am here on a special mission for a short time and my memory of who I really am and where I came from is concealed until I am ready to go home. Otherwise, if I knew how great I had it in my real life (not here) I would want to get out of here as fast as possible...and not focus on my mission. I agree that people are waking up. This shift to a higher consciousness started slow but it is gaining momentum now. I am sure about this. And perhaps that is why you suddenly changed your diet. Medical marijuana is awesome!!! It will help you more than anything else and it's natural. Yes, if you sit in a dark room and meditate, I would love to know what you see! LOL! I like your idea of switching realities and making the dream state your new reality. Well, if you move your conscious awareness into another body (like astral or etheric) that is exactly what you are doing. And I think most of the visits with star people happen while in the etheric body. I know a way to keep your awareness in the other reality when you are having an amazing experience: focus on the minute details of something close by, even your hand would work. By focusing your awareness, you are keeping yourself "awake" and not allowing your mind to wander. And bringing your awareness front and center like that can also propel you into an even higher state of awareness. I have done it before and it ROCKS! Some newer developments have started to arise. I stated in my last post, that i would share my marijuana induced experience. To start, it varied depending on the high i received from it. The first and last time i used the medication prescribed to me, yielded the most results. Since the first time, however, i've noticed a change in imagery during meditation. When i close my eyes, another eye stares back. But there's more now. The eye isn't the same each time, like before. Strange designs and patterns now form around it, instead of separate from the eye. I don't need to wait long before i start seeing images. I didn't before, but now it takes less than a minute. I've also stated before, that when i meditate or when i'm on the verge of falling asleep, i get flashes of images. Now things have become a little different. "There's a sentient white void that works like some sort of computer, and each universe is a simulation with different algorithms. Black holes adsorb data from out universe, which is why light can't escape it." Just a lot of stuff like that. Afterwards i layed down on my bed, because the high i was having was pretty harsh. Like i said, i don't smoke often. My friends do. They said i'd get used to it. After i was comfortable, i began meditating. I had this weird floating feeling before i was struck with some kind of paralysis. Similar to sleep paralysis, only i wasn't scared. I was the most relaxed and calm i've ever been while awake. I couldn't open my eyes, but i couldn't fall asleep. I had visions of clear waters, exotic animals that i'm sure dont exist on earth. Beautiful, elaborate architecture. There were people, who looked human, but some looked more alien, and even like the one's i've showed before. After a while, i started seeing symbols, but i can't remember what they look like. They were comprised of mostly circles. I snapped out of my high immediately after that. Not sure what happened. Afterwards, thats when the images started to change when i meditate my usual way. And then something weirder started happening. Ive been seeing small light sparkles from the corner of my eyes. Sometimes it's straight on, but mostly from the corner. When i go to bed, i see pure white flashes when i close my eyes, despite there being no light in my room. They don't just look like normal lights. They flash in a set between 2 and 4. Then one night, there was an image. I didn't even close my eyes this time. But i saw an image of a ginger haired, freckled woman. She had huge blue eyes. She looked human, but her features were very exaggerated. Small nose, large eyes, and oddly shaped cheekbones. Her skin was an odd, dolphin like texture. She didn't seem mean. She seemed peaceful. She smiled at me and surrounding her were the weird lights that i kept seeing. My friend and i worked on this one together. Now this happened some time last week, but i wasn't sure how to talk about it. Since then, i've been seeing the number "32" a lot. 32 is a lucky number me and my friend both share. triple digits are still appearing. I still see the white flashes, and tiny sparkles. And ive recently been waking up with large cuts on my chest and arms. They aren't deep, but they are surprisingly big. My sickness has gone away, thankfully. I feel better again. But i'm still severely allergic to my pet, for some reason. Thankfully, i have medication for that as well. Ive become rather cynical the past few months, according to my peers. They say im more analytical, and that i've been diagnosing people, like i'm some kind of therapist. I dont see the words "Cynical" and "therapist" mixing well, but people are telling me otherwise. Despite that, they've told me i'm oddly optimistic for the future. Which is good, i think. Let's hope that stays that way. Well, that's all i really have to share. I hope you all have a good night. Things seem to be falling apart around the world, so stay safe, and take care.